Llŷr developed the programme in his spare time, in conjunction with Samsung and Oculus. Published by Picselica Ltd, it has been used as a launch title for many high-profile VR headsets. 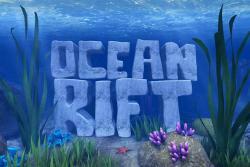 ‘Ocean Rift’s virtual world takes you under the waves into a vivid underwater safari. The user can swim with a variety of creatures including dolphins, turtles, sea snakes, rays, sharks, whales, and even prehistoric creatures which have long-since disappeared. The user can select and move through a choice of environments, from coral reef, a ship-wreck, a lagoon or deep-ocean or even Atlantis. 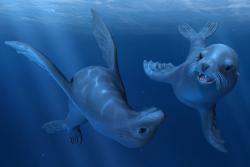 The creatures have been animated to behave in a way which mimics their natural behaviour. Over 50 information panels about the sea creatures in the programmes ‘educational mode’, have been translated into Welsh, including facts about their habitat, diet, social lives and if and why they are endangered. These are also voiced into Welsh by Llŷr’s wife, Lisa Louise Cenydd, a primary school teacher at Ysgol Llandegfan. School children from schools which Llŷr attended (Ysgol Gymuned y Fali and Ysgol Bodedern) will be among the first to see the educational programme in Welsh as they attend an event at M-Sparc, Bangor University’s Science Park at Gaerwen on 28 November. Also during the event, the pupils will take part in a coding session, so that they can begin to develop the same skills that Llŷr ap Cenydd uses. 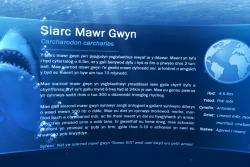 The translation has been developed jointly by the University’s Widening Access Centre and School of Education and translated at Canolfan Bedwyr, enabling school pupils across Wales to learn more about our oceans in a new and exciting medium.